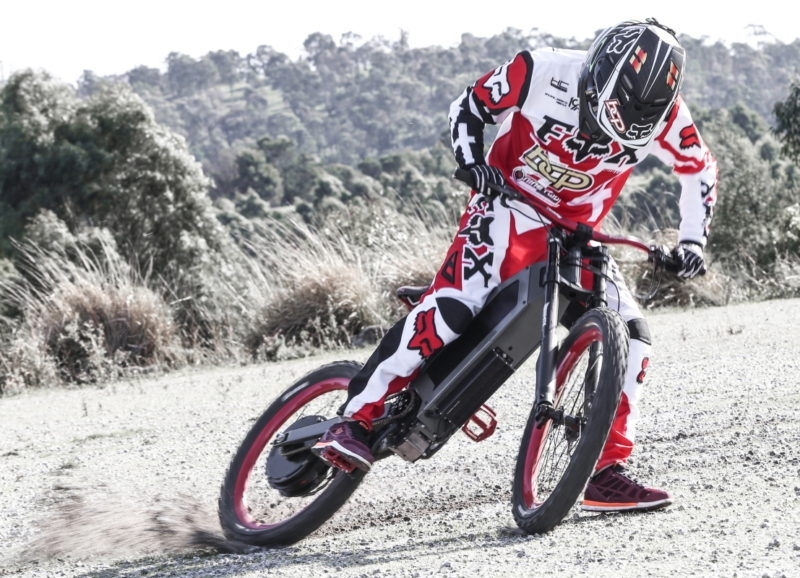 What do you get when you combine the power of the Stealth B-52’s 2.0kWh lithium ion battery pack and the pure muscle of a mountain biker in full flight? The answer, epic power! When the trails get steeper, the jumps a little higher or the terrain a little tougher, you need brute power to get the job done. This is exactly what makes the Stealth B-52 such a beast with its high torque hub motor punching smooth tractable power that no other electric bike can match. Use the power of the B-52 to your advantage! The star of the show here is the B-52’s lithium ion battery. With a total capacity of 2.0kWh and peak power output of 6.2kW, this battery is seriously juiced up – giving you the full Stealth experience beyond the end of your ride. The B-52 has a total recharge time of just three hours giving you enough time for a well-earned break before getting back in the saddle and heading out for your next mind warping ride. 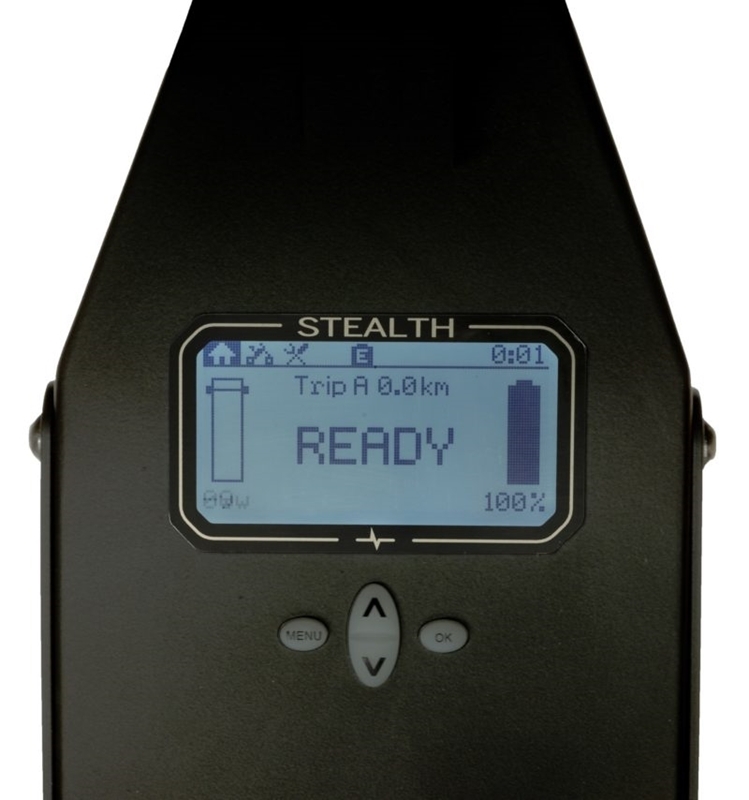 Keeping track of the battery’s health is simple with Stealth’s intuitive DC-1 display. Engineered in Australia, DC-1 comes standard on all Stealth models. The intelligent user interface shows real-time data and key stats, important for bragging to your mates. Speed, battery life, range estimation, efficiency – let the bike do the thinking, while you do the riding. Check out your real-time data in the blink of an eye. Let’s talk numbers. With a range of up to 100km, the B-52 can reach an impressive top speed of 80km/h. This said, if you have some leftover power in those legs, you can easily assist the bike via the advanced 9-speed sequential gearbox to boost your stats. Calling the B-52 a high-powered e-bike would be an understatement. The B-52 will change the how, the why, the where and the when. Whether exploring the world’s toughest environments or the cruising across rolling fields. The B-52 has the good to get you there… and back again. To take this beast for a test ride, get in touch with your local Stealth dealer today.